Our literature resource center offers a brief overview and introduction to world literature. While many English-language literature courses focus solely on novels written by English-speaking writers and from a Western-perspective, world literature courses take a global perspective, including novels written about different countries and novels by authors who were raised in those countries along with novels written by English-speaking authors about the English-speaking world. Taken as a whole, these novels offer insight into life around the globe. The Stranger by Albert Camus- Originally published in 1946, Camus’ classic is the story of a man who gets drawn into a murder in Algeria. The Stranger is considered one of the most significant works in existentialist literature. The Night by Elie Wiesel- Night is Wiesel’s autobiographical account of surviving a Nazi concentration camp. While the story is compelling and horrifying, Night’s language is gorgeous. The Kite Runner by Khaled Hosseini- This novel is a timely, relatively recent entry into world literature that describes a friendship between two boys from very different social classes in Afghanistan. Cry Beloved Country by Alan Paton- This novel is considered South Africa’s most important work of fiction and describes the life of a black man under apartheid in South Africa. The Metamorphosis by Franz Kafka- Kafka is one of the most famous German writers and this short novel is considered to be one of the best fiction works of the 20th century. The plot is simple; a salesman gradually morphs into an insect. However, the complicated human emotions and interactions that surround his transformation make the novel resonate with a modern audience. The God of Small Things by Arundhati Roy- Roy, an Indian novelist, describes a family in India in the late 1960s, early 1970s, and how the family reacts to the introduction of a new member. All The Light We Cannot See by Anthony Doerr- Although a modern work, this Pulitzer Prize- winning novel, like many works of world literature, focuses on World War II. It details the friendship between a blind French girl and a German boy. One Hundred Years of Solitude by Gabriel Garcia Marquez- Marquez is a master of language, making even prose sound like poetry. His story of a century in a mythical town Macondo brings to life unforgettable characters, and translators have done a good job of retaining much of the beauty of the story in its original language. Red Scarf Girl: A Memoir of the Cultural Revolution by Ji-Li Jiang- This memoir details the life of a Chinese family, from the perspective of a young girl, during the communist revolution in the 1960s. While most people think that they must read in order to experience world literature, audiobooks can be a great way to absorb classic works, especially for people with reading challenges. However, an audiobook is, in many ways, more than a novel. The reader of the audiobook can impact the tone of it in such a way that it influences how the listener understands the book. The best audiobooks are not only great stories, but are told by master storytellers. Plain Tales from the Hills by Rudyard Kipling- Kipling was known for vividly capturing life in India under imperial British rule, and this book is no exception. Alone in Berlin by Hans Fallada- Another World War II era story, this one describes the life of a resistance fighter, giving elements of suspense and action. Things Fall Apart by Chinua Achebe- Considered by many to be the top work in world fiction, the audiobook version lends even more humanity to the story of an African man struggling against the world and his own flaws to achieve success and the impact of the arrival of a missionary in his small African village. It is impossible to come up with a single description for a world literature course, because of the depth and breadth of world literature. As a result, many professors or universities divide the study of world literature into themes, time periods, or other artificial delineations that help them tackle a portion of world literature. However, they categorized, one can expect a world literature course to challenge the reader to embrace new perspectives by introducing authors from foreign lands, tales told in foreign settings, and the impact of different cultures on human behavior. World literature courses may describe different people in vastly different settings, but frequently reinforce the common humanity among different groups of people. Harvard University’s Institute for World Literature may be the most respected place, in the United States, for the study of world literature. It hosts seminars around the world, which focus significantly on the literature from that place, over the course of history. These seminars mirror much of what one can find in a world literature course. Some are survey courses that attempt to capture the top five or ten works of world literature, which can be a very difficult task, but at least introduces the student to global concepts. Other courses may focus on feminist works, conflicts, or other events that the reader can see linked to social change. Some world literature courses will focus on a particular country or region. While not all world literature is written in novel form, much of it is. Even experts disagree about the top novels in world literature. The greatestbooks.org maintains a list of top novels. While not designated as a world literature resource, the site includes works from all different countries and in many different languages, using an algorithm to determine which of those works are “the best.” While certainly not conclusive, the website is a great place to start when beginning one’s world literature journey. "Literature Resource Center." Aceyourpaper.com. Student Network Resources Inc, 15 April. 2017. Web. 18 April 2019. Student Network Resources Inc. "Literature Resource Center." Aceyourpaper.com. 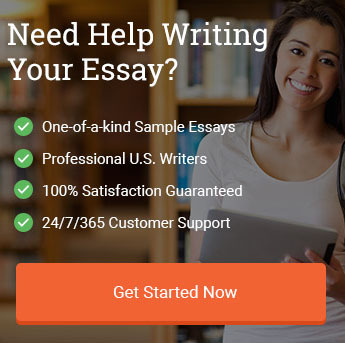 https://www.aceyourpaper.com/essay-writing/literature-resource-center/ (accessed April 18, 2019).